When I am out hunting for pieces, I never know what is going to grab my attention or inspire me. That is one of my favorite things about the hunt. I want my creative mojo to be triggered and sometimes it is the simplest things that get me excited to transform. 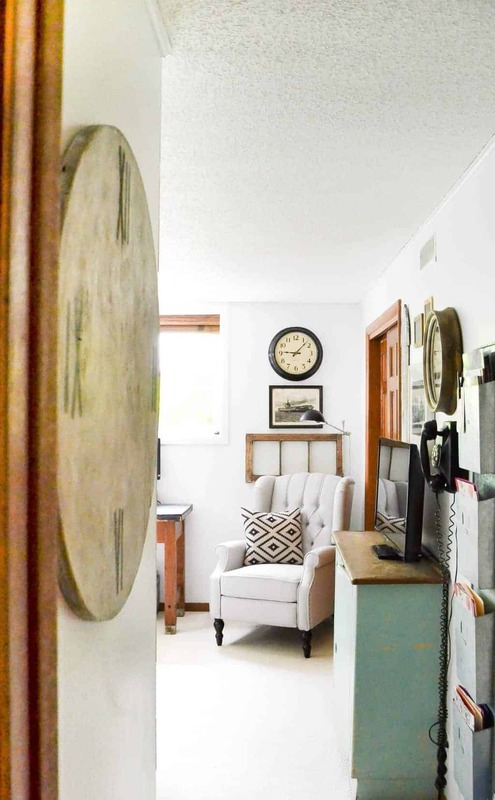 This DIY Faux Farmhouse Clock was once a big piece of wood cute into a circle at Restore. 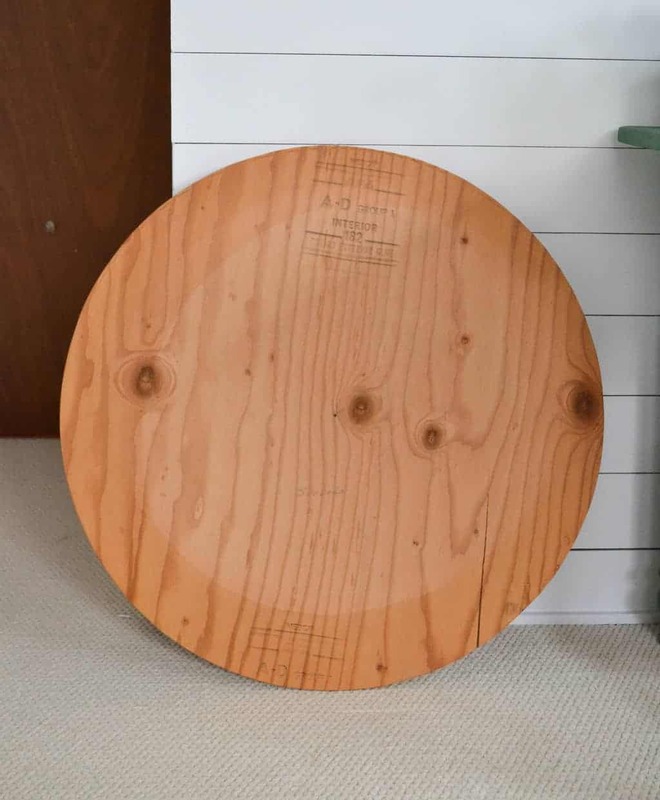 It was the size and shape of this piece of wood that made me want to bring it home. I knew it would be an easy transformation. Whenever I see wood cut out in shapes like this where the work in already done for me, I pick it up. 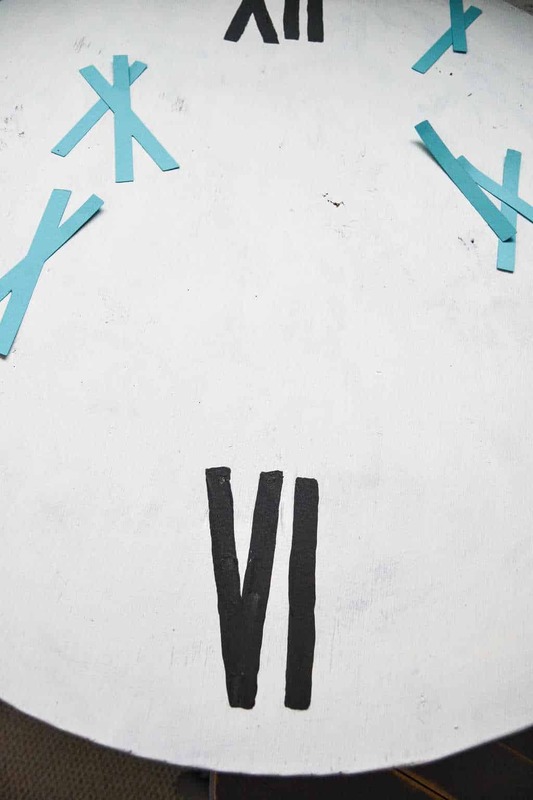 I knew when I saw this, I knew it would make a great, faux clock. 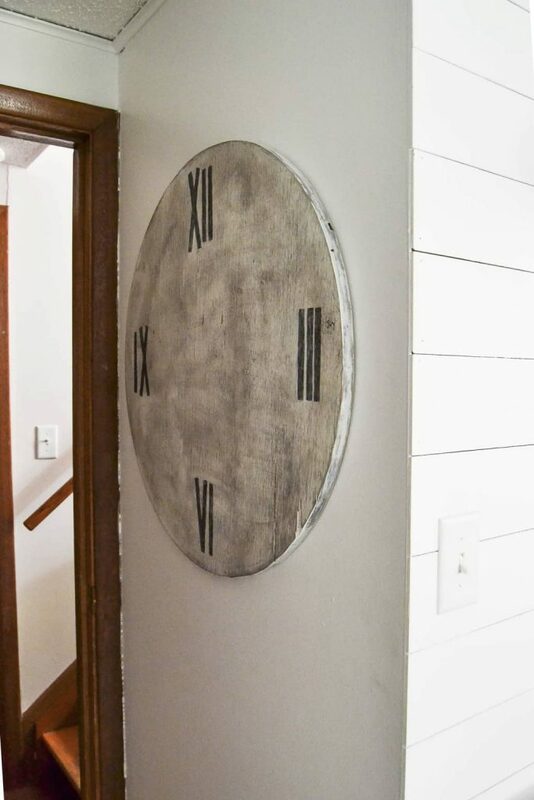 It would only take a few short steps to make it a faux farmhouse clock. To start, I painted the board a dark color. 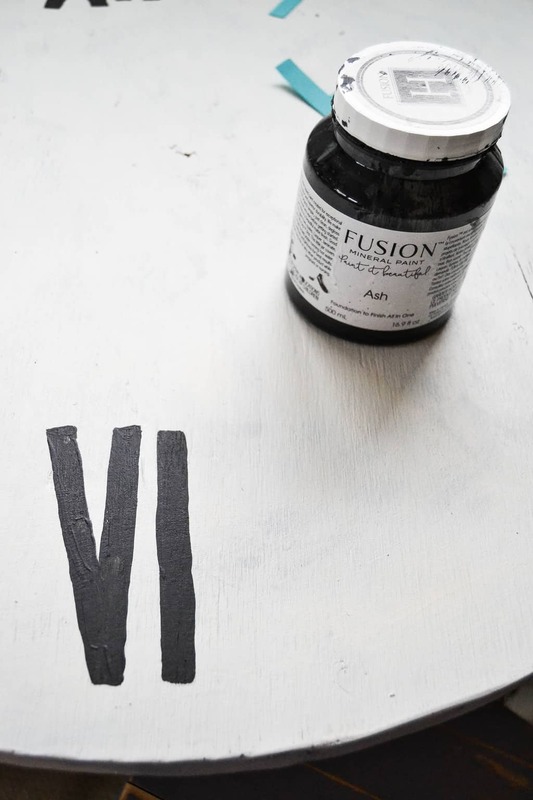 I used “Ash” from Fusion Mineral Paint. The wood was a cheaper plywood so it wasn’t a good candidate for stain. If it was better wood, I would have stained it first. For cheaper wood like this, a darker paint color gives the same look at a dark stain would. When the “ash” color paint dried, I went over it all “sloppily” with a light gray color I had left over from a previous project. Once the light gray paint dried, I dry-brushed “Picket Fence” from Fusion Mineral Paint all over the wood. Once the white paint dried, I sanded the entire piece. I wanted to lighten the white and bring the “Ash” color out. I wanted it to look like worn paint. 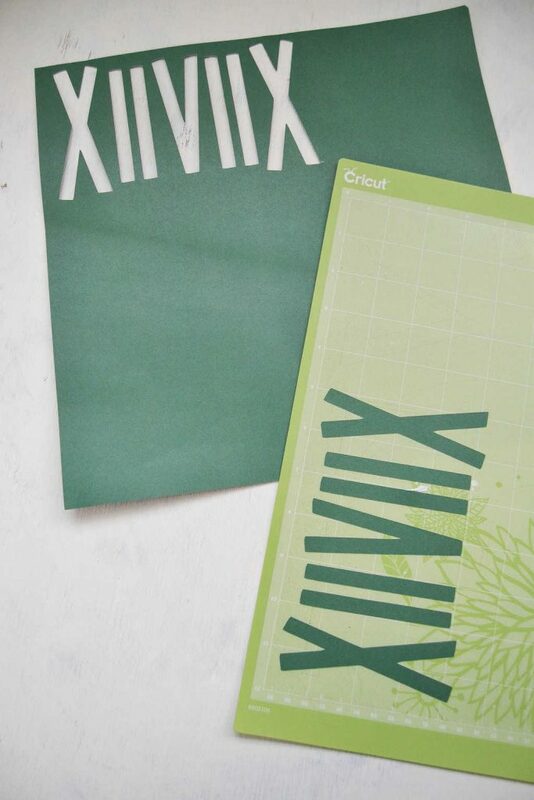 Next, it was time to get out my Cricut. This machine makes all projects like this a breeze! It has saved me so much money in home decor because I can make any sign, clock or decor piece I like without having to pay retail in a store for it. I cut Roman Numerals with the Cricut for the farmhouse clock. I used the stencils the Cricut cut and eye-balled the numbers on the clock. I traced them with a pencil and painted them in with the “Ash” paint. 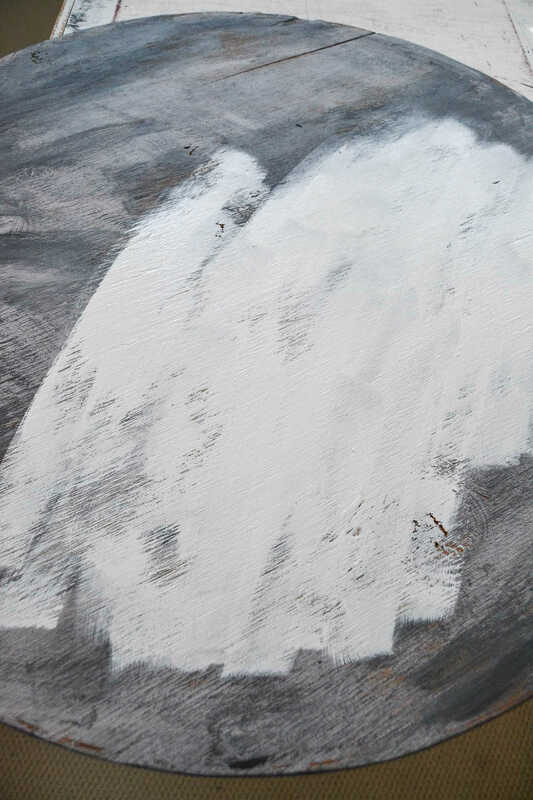 When I paint like this, sometimes the paint goes on thick in areas. I never worry about it because I know I am going to sand it all down when it dries. For this project, I didn’t want the numbers prominent at all so I really sanded them down well when they dried with my orbital sander. I wiped down the dust from the sanding and then rubbed the entire clock with Antique Wax. After that, we added picture hardware to the back to hang it up. That’s it! I say this is a DIY in 30 because other than waiting for the paint to dry between each step, this took no time to do. 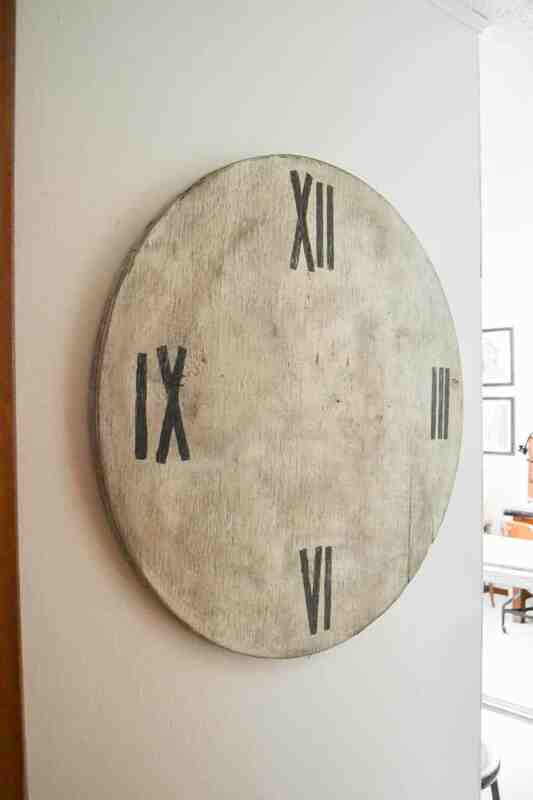 This faux farmhouse clock is not functional, but I just made it as a decor piece. I have it hung on the wall as you walk into my office, but I think I will be taking it up with the flip house to stage it if we have time.